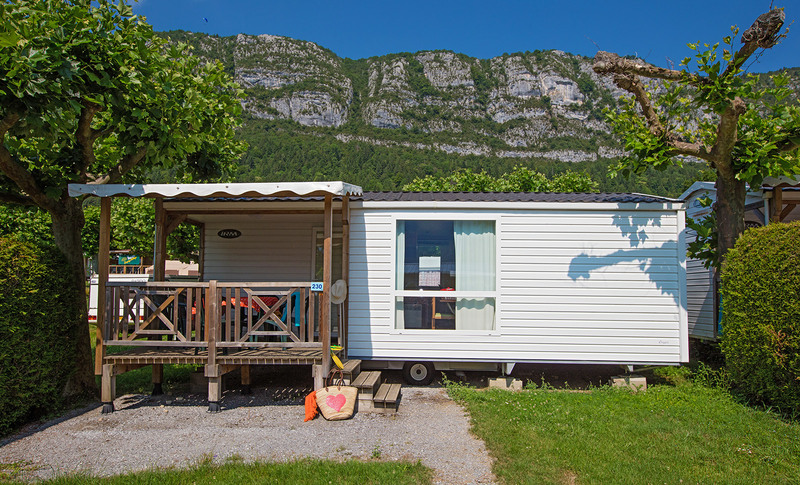 In a privileged setting, the Loggia mobile home welcomes you for a comfortable stay for 4 or 6 people. With a pretty surface area of 25 m2, it includes two bedrooms equipped with comfortable bedding: a double bed in 140 and two single beds in 90. A pleasant bathroom has a shower cabin and a washbasin with storage unit. The toilets are separate. In the living room you will find a dining area with a family table, chairs and corner bench, and an open kitchen equipped with modern and functional equipment: refrigerator, cooking fires, sink, microwave oven and coffee maker. To make the most of the outdoors, a covered wooden terrace completes the accommodation. You can enjoy garden furniture to enjoy your meals and relax in the fresh air in the best comfort.